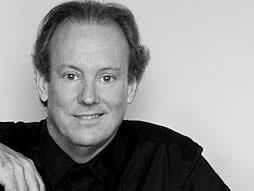 Architect, William McDonough and author “Cradle to Cradle” | "Global Possibilities"
Architect William McDonough believes green design can prevent environmental disaster and drive economic growth. He champions “cradle to cradle” design, which considers a product’s full life cycle — from creation with sustainable materials to a recycled afterlife. Architect William McDonough practices green architecture on a massive scale. In a 20-year project, he is redesigning Ford’s city-sized River Rouge truck plant and turning it into the Rust Belt’s eco-poster child, with the world’s largest “living roof” for reclaiming storm runoff. He has created buildings that produce more energy and clean water than they use. He is building the future of design on the site of the future of exploration: the NASA Sustainability Base. Oh, and he’s designing seven entirely new and entirely green cities in China.